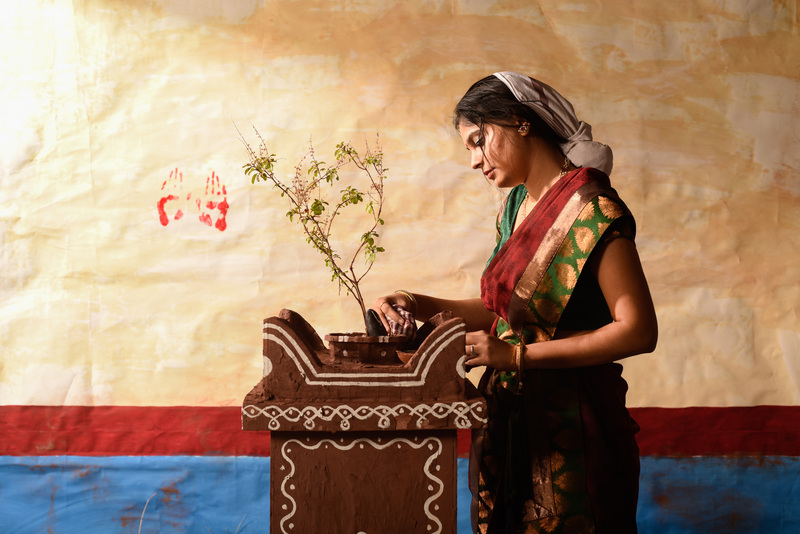 This project is an attempt at creating outdoor ambience inside a studio, representing the daily ritual of tulsi vrindavan puja and the processes thus involved. 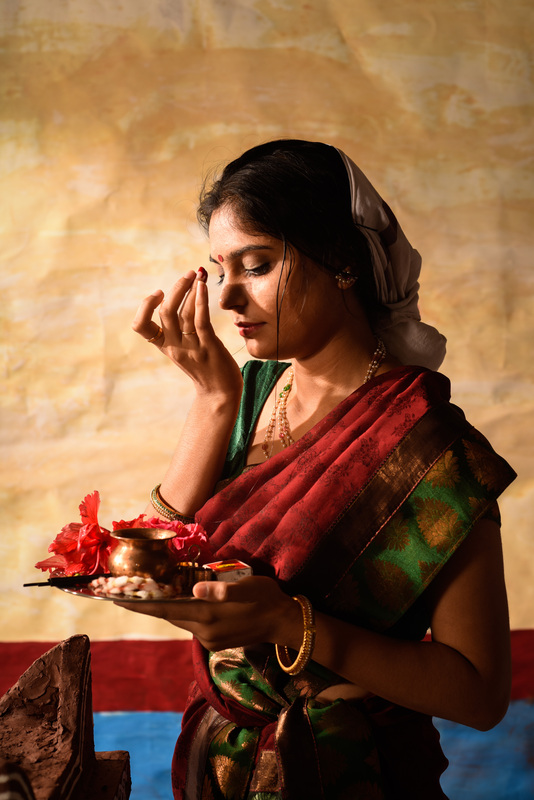 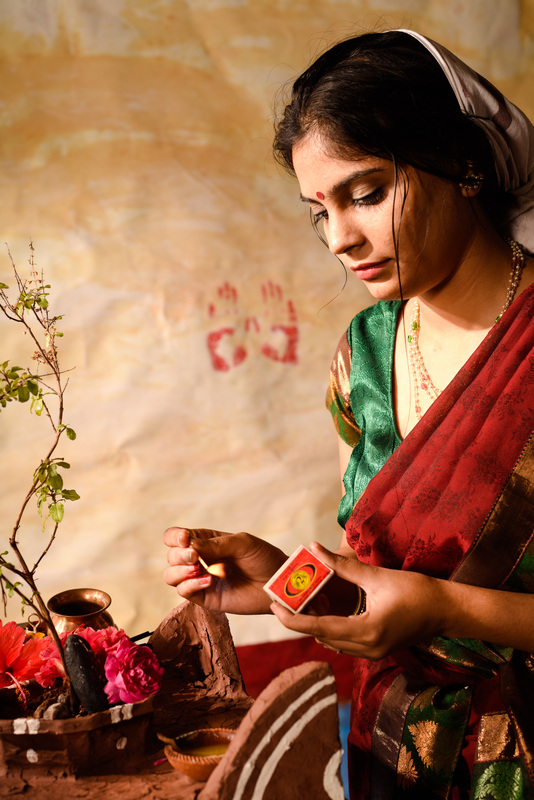 This puja is a part of most Hindu households and is associated with the longevity of a happily married life. 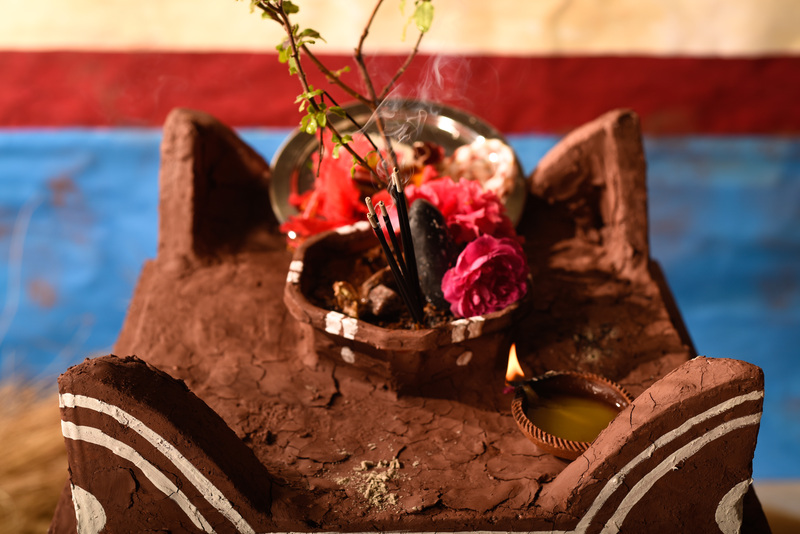 The worshipping of the tulsi vrindavan generally takes place in the courtyard of the house. 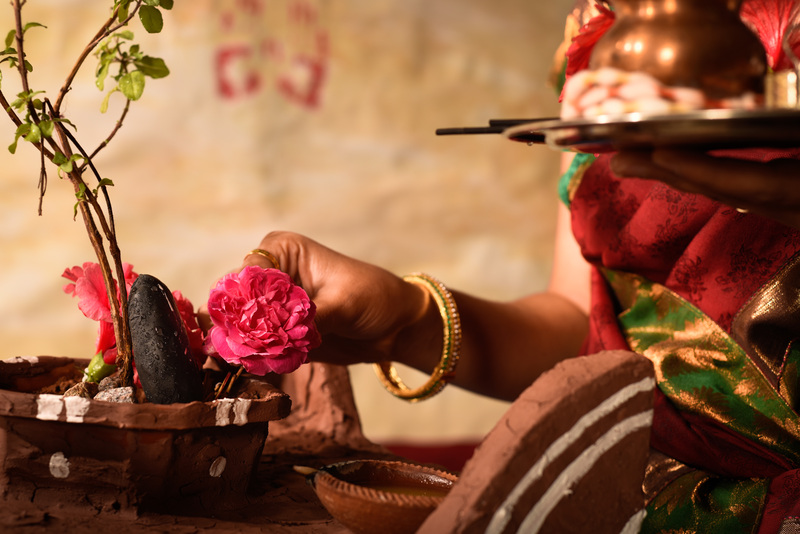 The tulsi vrindavan puja begins early in the morning with cleaning of the courtyard, followed by drawing kolams as a part of the decorations for the puja. 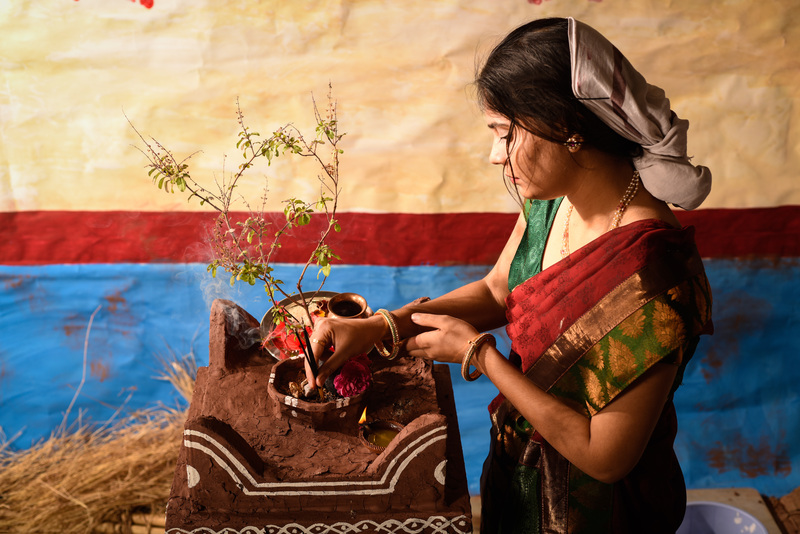 Once the courtyard has been decorated, the vrindavan is cleaned. 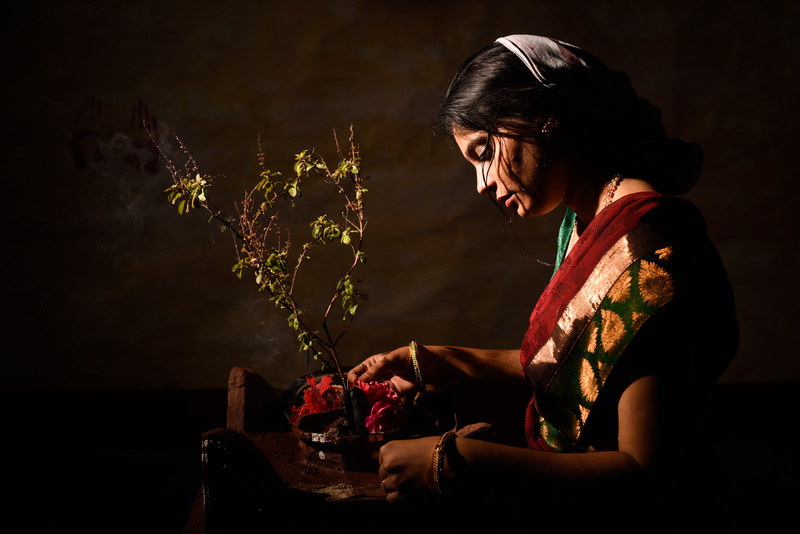 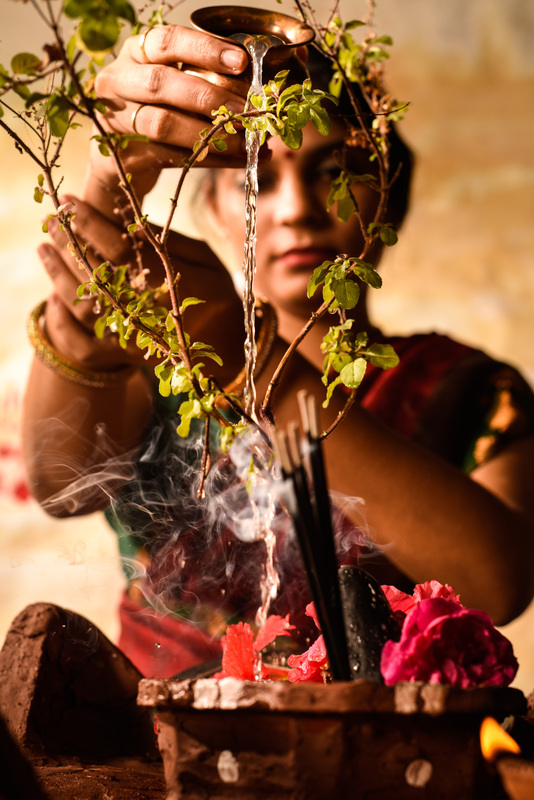 Flowers are offered to the tulsi plant, followed by the lighting of the lamp and incense sticks. 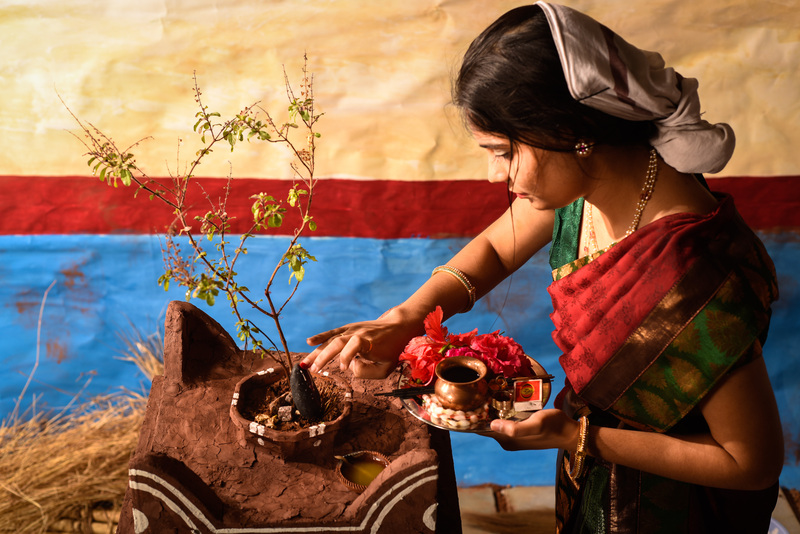 The puja is completed with the offering of water during parikramās (circumambulation), as a sign of the removal of sins.